Cancer is a tricky disease to treat. With more than one hundred known types, each responding differently to treatment depending on the person they’re growing inside (and dozens of other factors), oncologists certainly have their work cut out for them. Machine learning could soon make their jobs a bit easier. IBM’s supercomputer Watson has been applying machine learning to personalized cancer treatment for some time. After pouring over 600,000 medical reports and 1.5 million anonymized patient records and clinical trials, the data should help define the clearest path forward for doctors. Currently, doctors rely on textbooks, medical journals and clinical research to help point them to the most likely course of treatment. Soon, that same post-medical school research might just entail entering a specific set of test results and allowing artificial intelligence to plot the best treatment options. Google’s DeepMind is learning how to better apply radiotherapy to cancer patients. When exposing patients to dangerous doses of radiation, the goal is to kill the tumor while limiting exposure to surrounding (healthy) areas. Doctors currently use a combination of past experience and current research to pour over scans and attempt to determine the best way to expose the body to radiation as part of treatment. This process, known as segmentation, requires a doctor draw areas that can and can’t be treated onto a three-dimensional scan of the patient’s tumor site. Adding to the complexity, head and neck cancers often sit on — or in the immediate vicinity of — the brain or spine, leaving doctors with difficult decisions of how to best apply radiation therapy without significantly damaging these critical areas. Clinicians will remain responsible for deciding radiotherapy treatment plans, but it is hoped that the segmentation process could be reduced from up to four hours to around an hour. 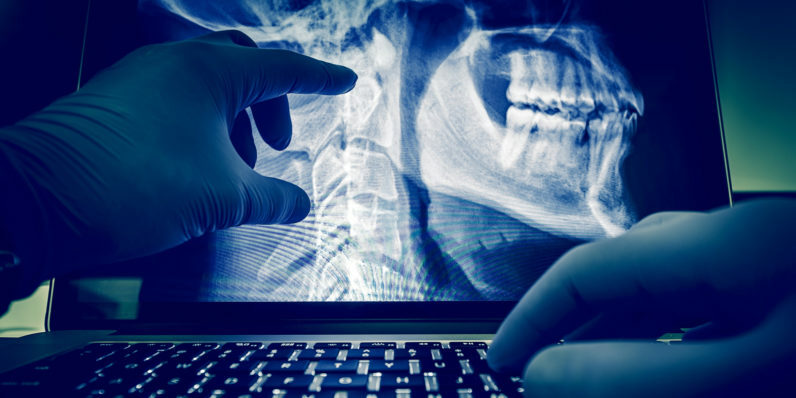 To transform this process, DeepMind will analyze 700 anonymized scans from former patients suffering from head and neck cancers. The hope is to develop an algorithm that can pinpoint the best areas to target and thus segment the scans automatically. Over time, the team hopes this approach this same algorithm can be applied to treating cancers elsewhere in the body. The ability to better treat a disease that affects nearly 40 percent of Americans is a massive step forward in comparison to the mostly trial and error we utilize now. At some point, doctors will only be required to choose between courses of treatment that artificial intelligence believes offer the best chances for survival. We’re not there yet, but it’s on the horizon.